Tracking analytics is valuable in itself. 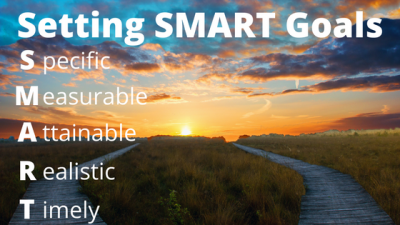 It provides insight that enables smarter training and targeted improvements. But, to truly maximize its benefits requires it to be done consistently and for a longer period of time. Compare the changes in one metric to changes in others, to make sure no metric is improved at the expense of another. See how the progression of the metric has affected overall performance and times. Looking at data on a smaller scale, i.e. recording each workout and analyzing metrics on a day-to-day or week-to-week basis, already provides valuable information. The downside is, there is a higher likelihood of fluctuations in the data as a result of external factors. For instance, stress from schoolwork or exams, illnesses, or even athletes simply having off-days or off-weeks can impact their performance metrics for given days, but none of these are indicators of the effectiveness of workouts and training plans. Long-term analytics shows the general trend of progress from a big picture perspective. Every athlete knows that setting different types of goals is essential for their growth. Observing short-term changes in metrics allows for tailoring of everyday workouts to target micro-level goals. But, long-term tracking of analytics allows you to take this a step further and see if you are still on track of your ultimate goals. Are your short-term goals bringing you closer to your long-term goals? Should you modify a few specifics? Or add new goals? Tracking progress over a longer period of time can help you stick to your plan, or make the necessary changes. Test sets are a great way to determine where individual athletes are today, so you can have a benchmark to gauge progress against. You can run these sets on a semi-regular basis to track changes in metrics, as well as overall performance, over time. Check out this blog post to learn more about implementing test sets. 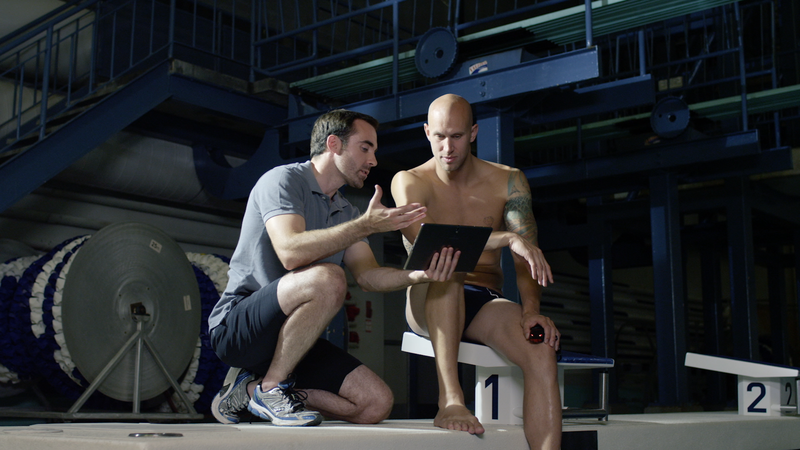 When you’ve just started using TritonWear, we recommend selecting focal metrics to measure progress. But over time, you can slowly incorporate other metrics in your analysis to have a wider view of overall performance. 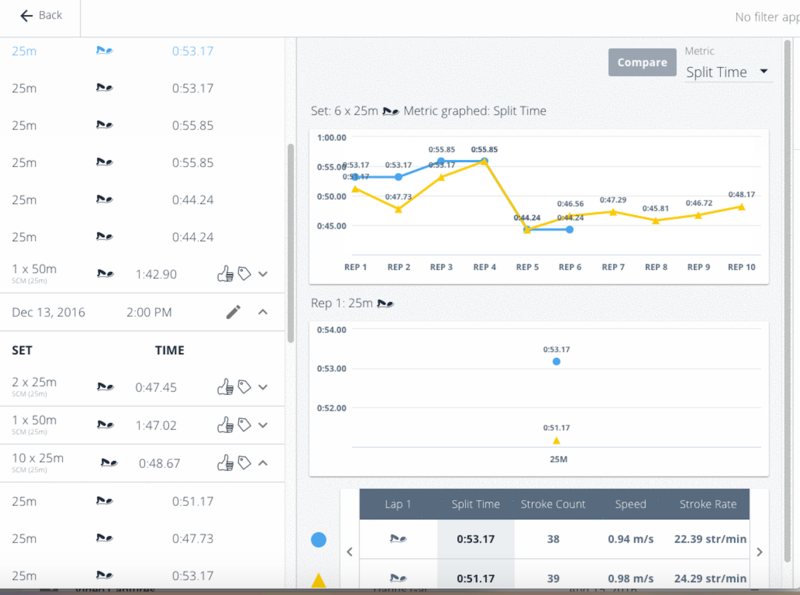 With the ‘compare athletes’ feature on TritonWear Live and Insights, you can compare an individual athlete’s test sets and focal metrics from any recorded workout. Tagging sets also makes it easier to pull up similar sets and analyze progress to determine where improvements can be made to enhance each athlete’s overall performance.